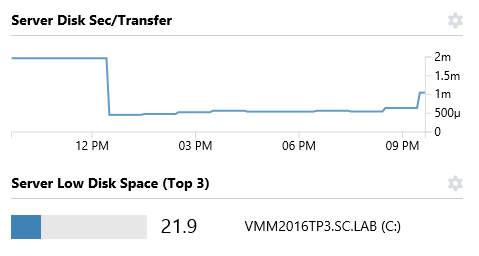 In order to have the System Center Operations Manager (SCOM) performance metrics be able to appear in the Squared Up dashboards, graphs, charts, etc. the product needs to connect to the SCOM Data Warehouse. The product uses its IIS App Pool identity to establish the connection to the Data Warehouse. By default, this will be the “Network Service” account. Therefore, we need to grant this account the permissions required, as follows. 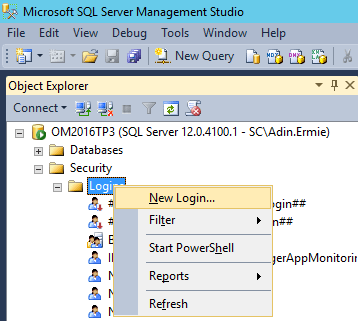 Either on the SCOM Data Warehouse server, or from an Administrative workstation, launch SQL Server Management Studio and connect to the SCOM DW SQL server. 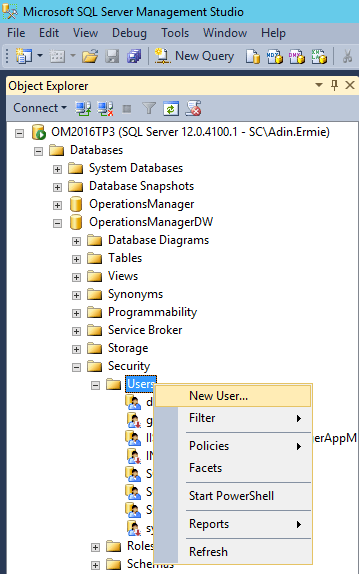 Note: Ensure that you are connecting to the SQL Server with an account that has SysAdmin privileges, in order to have sufficient rights to create/grant access to other accounts. Expand Security > Logins directory, and right-click on the Logins directory and choose New Login. In my example, I installed it on a separate dedicated server, so I used the ServerName$ option. Note if you encounter the following error message, ensure that you include Domain\ as part of the Login Name entry. After the account as been added under Security > Logins, navigate to Databases > OperationsManagerDW > Security > Users, and right-click on the Users directory and choose New User. 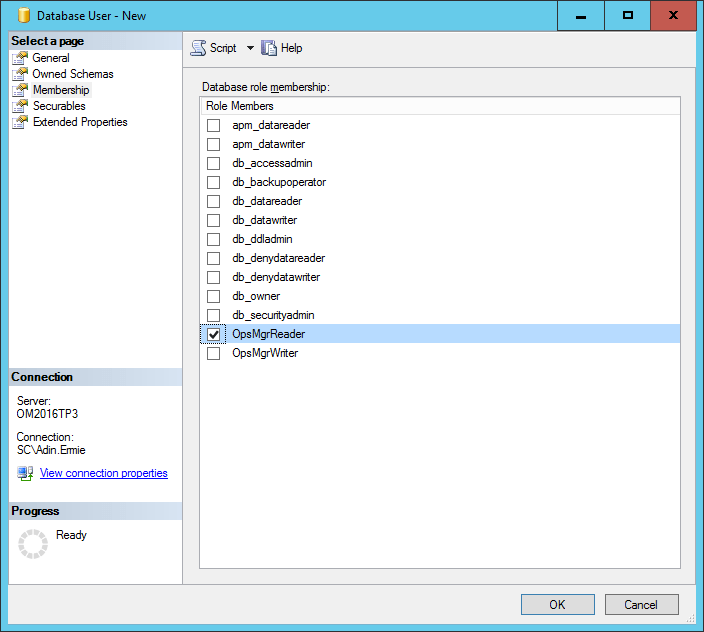 On the Database User – New dialog, enter the same name used for the Login Name field previously for bot the User Name and Login Name fields.. For example, in my case I used “Domain\ServerName$”. Next, in the same dialog, navigate to the Membership section. 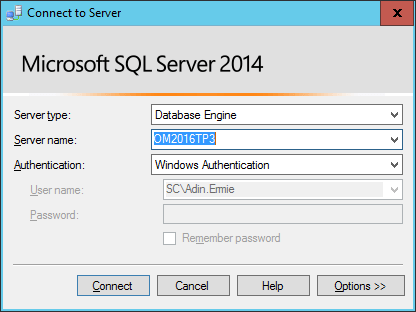 Ensure that the ‘OpsMgrReader‘ checkbox is selected, then click OK.
You can now close the Microsoft SQL Server Management Studio. To confirm the configuration is working, check that the Performance views are able to display data. Next let’s cover our last part, Part 6: Customize Dashboards.